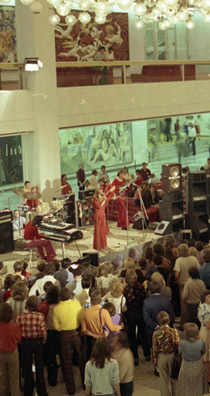 Youth dance at the Palace of the Republic in East Berlin, June 26, 1976. Photo by Jürgen Sindermann / ADN. Bundesarchiv Bildarchiv / Bild 183-R0706-417. My first major research project grew out of my interest in examining buildings in relation to their larger social, economic, and political contexts, both at the moment of their completion and over time, as they enter the wider visual culture. 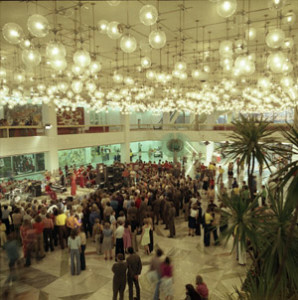 In particular, this project examined selected building projects in East and West Berlin and considered the role of architecture in the formation of political identity within two Berlins, within the two Germanys, and within the international spheres of the Cold War east and west. Two key examples I chose to include in the study are the State Library on Potsdamer Straße (Hans Scharoun and Edgar Wisniewski, 1967–78) and the Palace of the Republic (Heinz Graffunder and collective, 1973–76; now demolished) built on the Museum Island in what was then East Berlin. My study is unique in that I investigate popular discourses and visual culture surrounding significant public buildings in relation to official policies on design, construction, and urban development in East and West Berlin. As part of this, I looked closely at the press and film representations of particular buildings and urban spaces. For example, I analyzed press accounts of West Berlin the news magazine Der Spiegel, and considered the East German film The Legend of Paul and Paula (dir. Heiner Carow, 1973) in relation to notions of home and homeland in the German Democratic Republic. 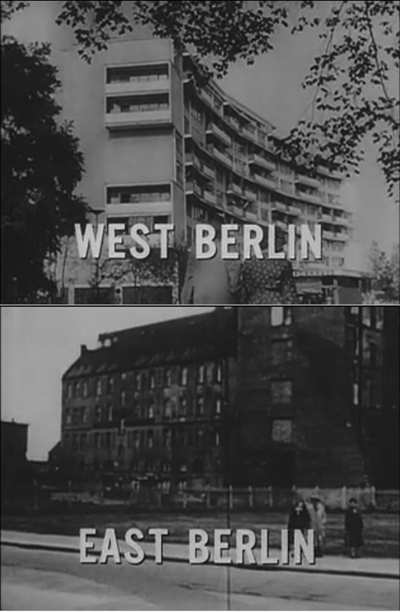 Considering popular representations of the two Berlins, and the built environment of each, allowed me to assess the significance of the divided city as a political and cultural symbol, as well as the degree to which governments’ architectural and urban planning projects were effective in “winning hearts and minds” to their cause. Architecture, Politics, and Identity in Divided Berlin. Pittsburgh, PA: University of Pittsburgh Press, 2014. “The Berlin Wall and the Urban Space and Experience of East and West Berlin, 1961–1989.” PhD diss., CUNY Graduate Center, 2008.